WASHINGTON ( Jan. 16 , 201 7 )— For 130 years, National Geographic has been using the power of photography to tell meaningful stories, inspire people to take action and transport audiences to unseen places. 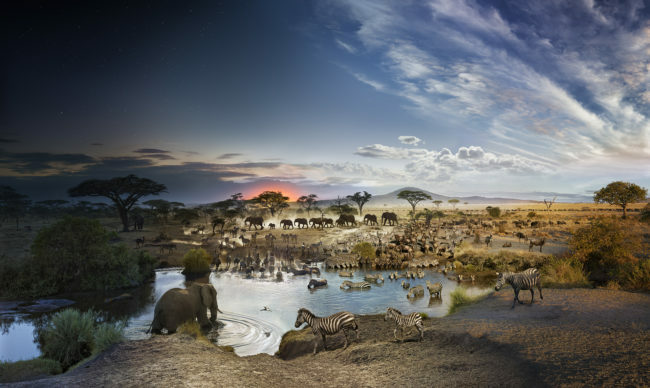 A new exhibition opening at the National Geographic Museum on Feb. 13, ‘Day to Night: In the Field with Stephen Wilkes,’ takes that experience even further by showcasing stunning images by iconic photographer Stephen Wilkes that capture the passage of time. The exhibition will be on display at the National Geographic Museum through April 30, 2018. 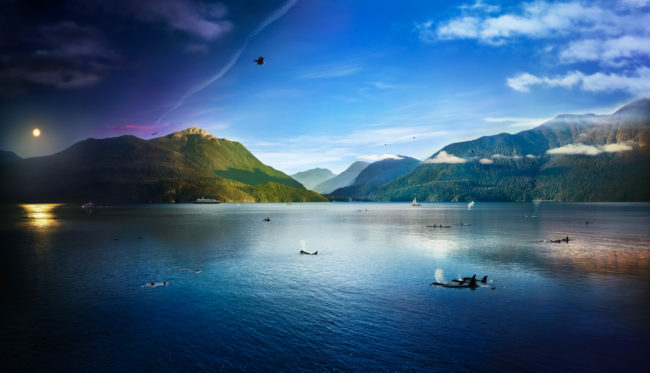 Wilkes, a New York–based photographer who is widely recognized for his fine art and commercial work, creates visually compelling scenes expertly crafted from more than 1,500 images taken from a fixed vantage point over the course of fifteen to thirty hours, from sunrise to sunset. Wilkes spent much of 2017 in the field on assignment documenting bird migration routes for the March 2018 issue of National Geographic magazine. 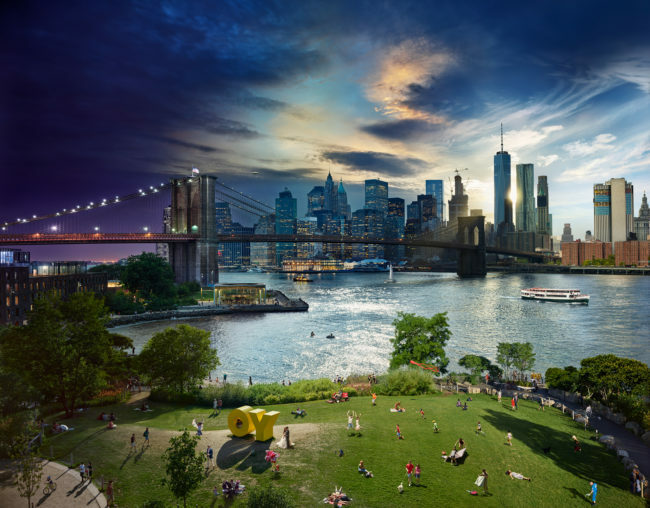 In ‘Day to Night,’ visitors can marvel at Wilkes’ stunning compositions of landscapes paired with human or animal narratives and appreciate the movement and energy of locations such as Serengeti National Park and Brooklyn Bridge Park in New York City as they transition from day to night. The exhibition gives visitors behind-the-scenes insight into all that’s involved in Wilkes’ shoots, from the research put into scouting locations; to determining how time will move through the image, either horizontally, vertically, or diagonally; to the time spent conducting the actual shoot; and finally to the extensive editing process, during which Wilkes selects the best moments captured from thousands of images to seamlessly combine them into the stunning finished product. Time and memory, the essence of why we photograph. Photography has historically been defined as a single moment, captured in time. Our memories are defined by these moments, illuminating our consciousness of time as we age. Years ago, I imagined changing time within a single photograph; compressing the best moments of a day and night into a single image. Photographic technology has now evolved to allow my dreams to now become reality. The exhibition ties in to National Geographic’s year-long initiative to highlight bird species and their migration patterns, aptly titled the Year of the Bird . The Year of the Bird is a partnership between National Geographic, the Audubon Society, Cornell Lab of Ornithology, BirdLife International and over 100 other organizations. Through 12 months of storytelling, science research and conservation efforts, the Year of the Bird will examine how our changing environment is driving dramatic losses among bird species around the globe and highlight what we can do to help protect them. Wilkes’ stunning images documenting the four ancient bird migration routes across the globe can be found in the March 2018 issue of National Geographic magazine. The National Geographic Museum, 1145 17th Street, N.W., Washington, D.C., is open every day (except Thanksgiving and Christmas) from 10 a.m. to 6 p.m.
Wilkes will give a behind-the-scenes look at his work during a talk on Tuesday, Feb. 13, 2018, at 7:30 p.m. and the exhibition will remain open until 7:15 p.m. on this date. Tickets are $25. For more information, please see here. In a special Student Matinee, students in grades 5-8 will join Wilkes on his most recent National Geographic assignments photographing the elegant and mysterious patterns of bird migrations across landscapes in Kenya, Scotland, the Falkland Islands, and the Platte River in Nebraska. For more information on National Geographic’s student matinees, please see here . 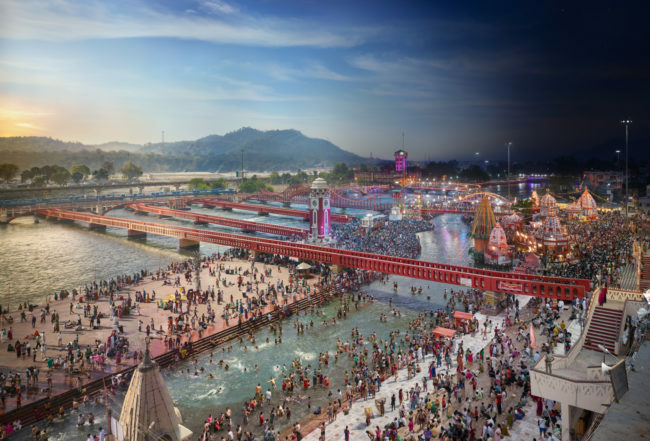 Photographer STEPHEN WILKES’s widely recognized work ranges from capturing the long-abandoned medical wards on Ellis Island and the impacts of Hurricane Katrina to shooting advertising campaigns for the world’s leading corporations. His photographs are included in public and private collections globally, and his editorial work has appeared in National Geographic , The New York Times Magazine , Vanity Fair , and many others. His highly acclaimed first monograph, Ellis Island: Ghosts of Freedom , was published in 2006, and his second, featuring his iconic Day to Night series, will be published by Taschen in 2018. Stephen has shot advertising campaigns for Netflix, Capital One, the New Yorker , Rolex, and many others. His extensive awards and honors include the Alfred Eisenstaedt Award for Magazine Photography, Photographer of the Year from Adweek magazine, and the Fine Art Photographer of the Year Lucie Award.